Expect more State laws requiring detailed documentation for all debt collection efforts. If an effort is being made to collect a debt they collector will be required to provide the consumer with complete documentation clearly showing why every dollar of the bill is part of the claim. The Debt Collector will be held liable if that information is not provided if requested by the Consumer. If the Debt Collector is required to provide full documentation, you are also required to produce full documentation. Signed contracts and itemized bills with documented backup for all charges are becoming a common requirement. It is now a necessary part of your recovery strategy to keep copies of all documents related to any debt you turn over to a Debt Collection Agency because they will increasingly be required in the future to substantiate the debt. If you sell your claims to debt buyers you may provide them with full documentation but that information may not make it’s way to subsequent buyers. It may not be your problem but this is a common problem with debt buyers. Often there is very little or no documentation available to the buyers lower on the collection chain. Often the second buyer, third buyer and subsequent buyers get only the basic debtor information with no signed contracts and no itemized bills. If you sell your debt this is not likely going to be your problem but any possible problem can be avoided if you keep your data for seven years. Disputes and litigations against debt collection efforts will continue to rise because of increased attention on public media. 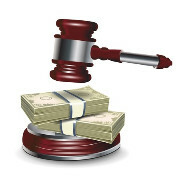 It will become increasingly important to work with a Collection professional with a record of few litigations. As a Creditor, you may be part of a Consumer litigation because many Creditors are willing to cancel the claim rather than defend it in court and social media is quick to share that information. These litigations, however, should be relatively rare because law firms that specialize in litigation against collection efforts tent to want quick settlements, not dropped claims. Collection laws allow them to add their total fees to a suit against a Collection Agency but nothing against the Creditor. Guaranteed access to original documents will be the focus of many legislative bodies. This includes contracts and leases, payment information and detailed billing information. Once again, the solution is to store all consumer information. There will be a focus on keeping debt collection consistent from start to finish. This, in particular, targets the layers of debt buyers that often work the same claim with each starting from the beginning and not recognizing debtor disputes to previous buyers. You may not be directly involved with this problem but it would be wise to record any disputes you receive from consumers. To protect yourself from consumer litigation you should find out who the new debt buyer is and contact them with the debtor dispute or resolution information in your file and send a copy to the consumer. In general, selling your debt will be more risky then using standard Debt Collection companies. You can avoid most of the problems by keeping consumer records and making your company available to deal with consumer disputes.